A recent research has proved that the 70% of the users uses the chat to ask information: they do it to be reassured, to receive that human feedback that only a clerk can offer physically. 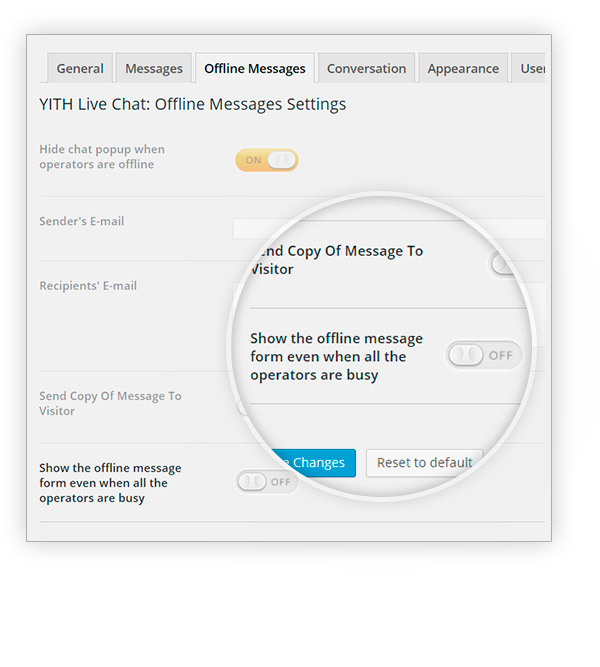 And the aim of YITH Live Chat is exactly this one, in an immediate and performing way. Users are comforted by direct contact and, when this goes missing because of the screen, they need to be reassured in another way. 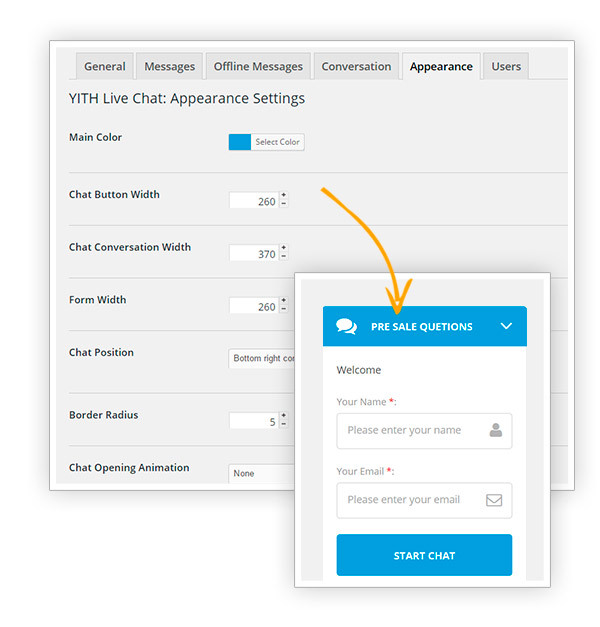 With YITH Live Chat, users can make their questions and solve their doubts immediately, erasing all those dead times of the search or the request for information and the real purchase of the product. It is just like being in a real store: with the chat, users will have a direct contact with the salesperson, establishing a trusting relation and persuading them to come back as there will always be someone for them, ready to listen and help. 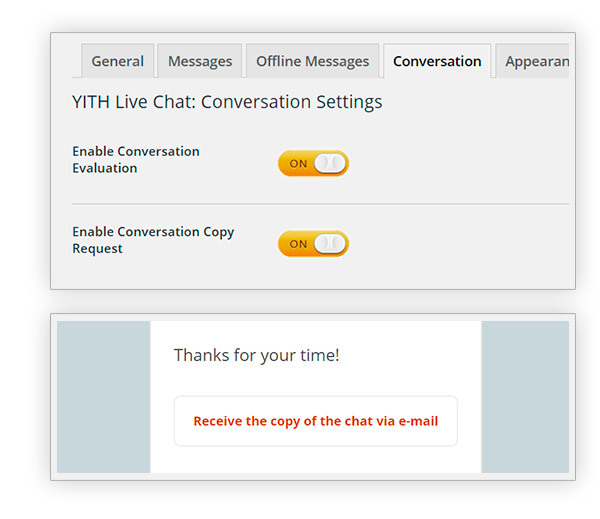 This is why YITH Live Chat is the best way to nullify the indecisions of your users and convince them to buy straight away. 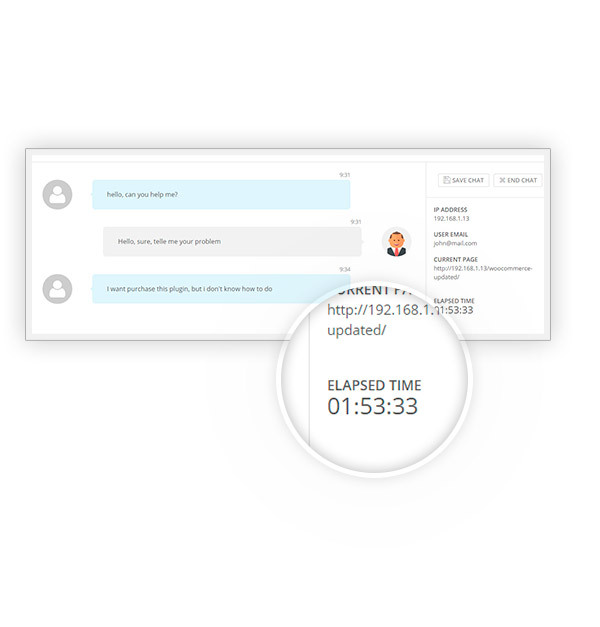 This plugin owes its effectiveness to the fact that it’s simple and easy to access: you will have the chance to decide where the chat is going to be displayed, assign specific roles to operators that will be able to talk to your customers thanks to a simple and clean instant messaging system which will help them keep a prompt communication with customers. 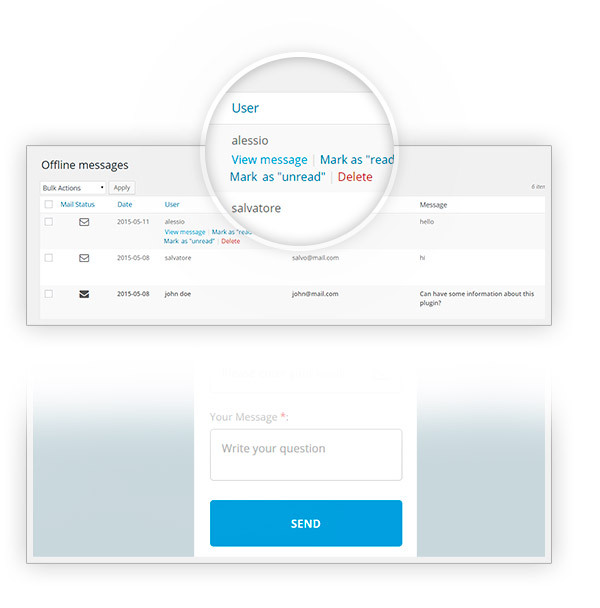 Customers are going to be displayed a simple form that will direct them to the live chat as soon as they entered their personal data such as their email address, starting the communication with the operator right away. What if there’s no operator online? Customers will be able to use the form to send offline messages directly to your own email address, which will make them feel cared for and not abandoned to their own purchases. 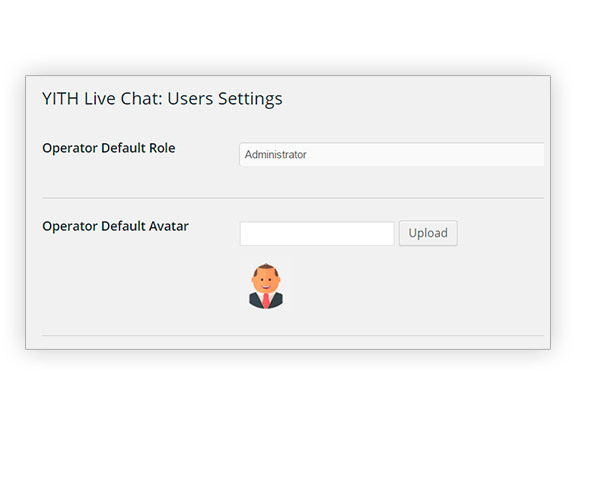 Tweak: Changed global $yith_livechat object to YITH_Live_Chat() singleton. 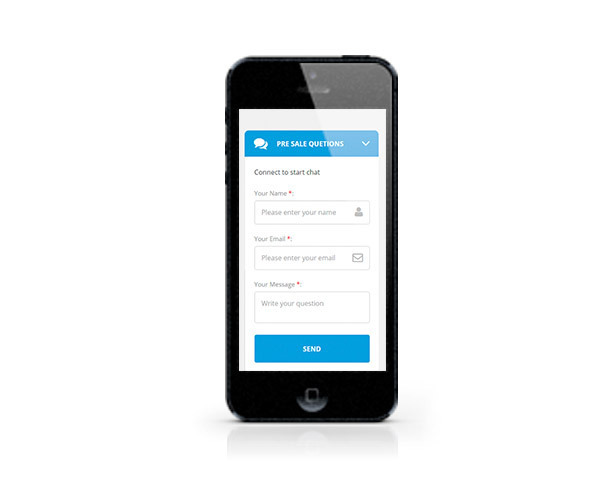 Choose how many users can start a conversation and increase the number of satisfied customers! If no operator is available, users won't be able to send messages. 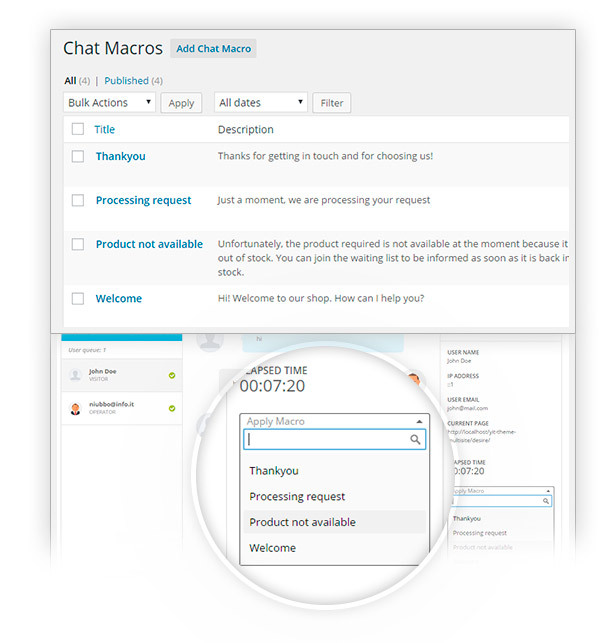 Your users will be free to talk directly with the vendors in their related vendor page. not happy at all!! !Unsatisfied with this plugin, I bought it as I was told it would have automatically connected customers to the vendor, but... know what? I had to buy the premium multi vendor. Never buy again! I'm so sorry to read about your dissatisfaction with the plugin. I understand your disappointment. The integration between the two plugins is only available between the premium versions, there's no mistery about that. 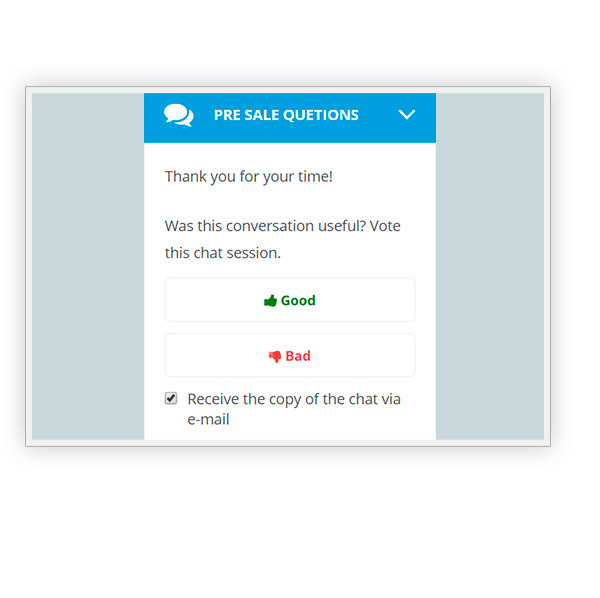 However, if you think that you will never use our Live Chat plugin, please, consider our 30 days money back guarantee, you have 30 days since the purchase date to submit a refund request and we will refund your order without any hesitation!  Very satisfiedIt is an excellent plugin for my website. 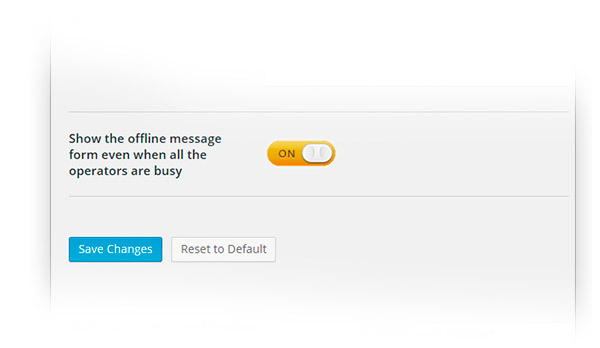 It is simple to install and the best thing is the offline messages option that allows me to reply to users as soon as I can without missing communication with them. Good integration with multi vendorWorks well, good thing that its integrated with the Multi Vendor plugin, very useful. 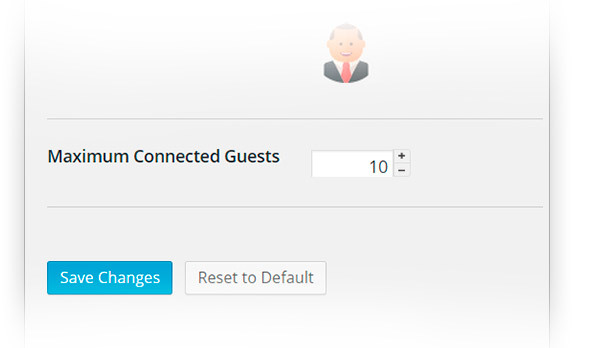 Good plugin to interact with usersGood plugin, not too hard to configure. I recommend it to everyone wishing to have a clean and plain interface to communicate with users and customers. 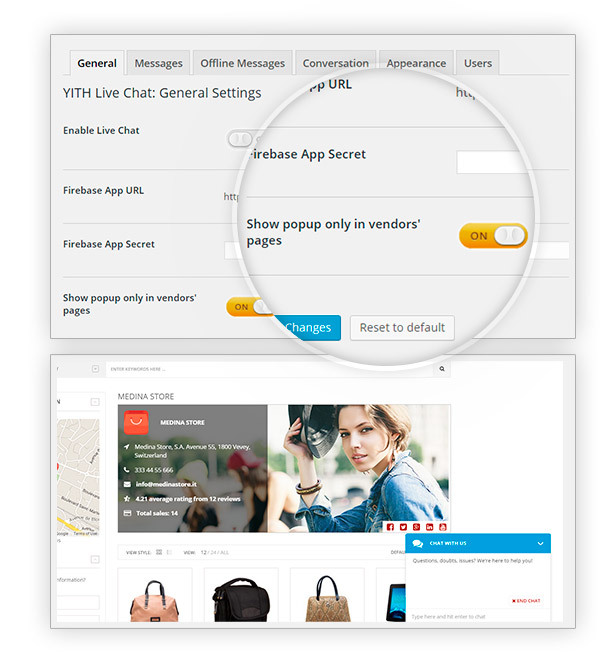 yes, of course, our YITH Live Chat and YITH Multi Vendor plugins are integrated, so that your users can be automatically connected to the right vendor based on the page they are on. yes, you will have to set the autoplay delay to 0 in the plugin appearance settings. Hi, Rodrigo! Unfortunately not, I am sorry. 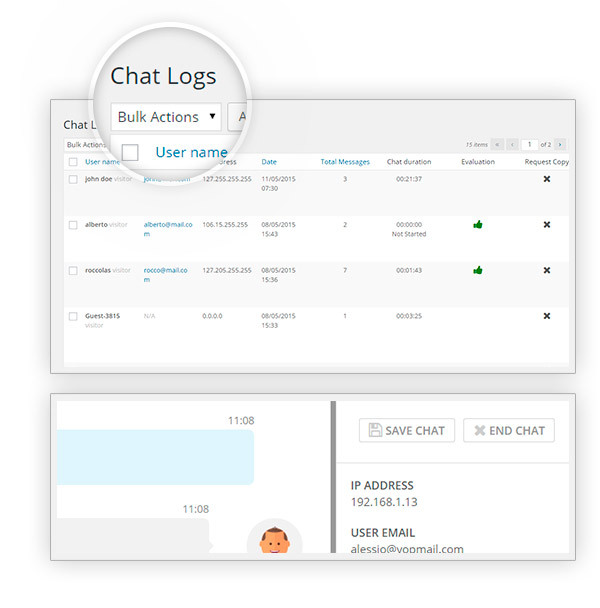 The plugin allows only administrators to have chat conversations with customers. 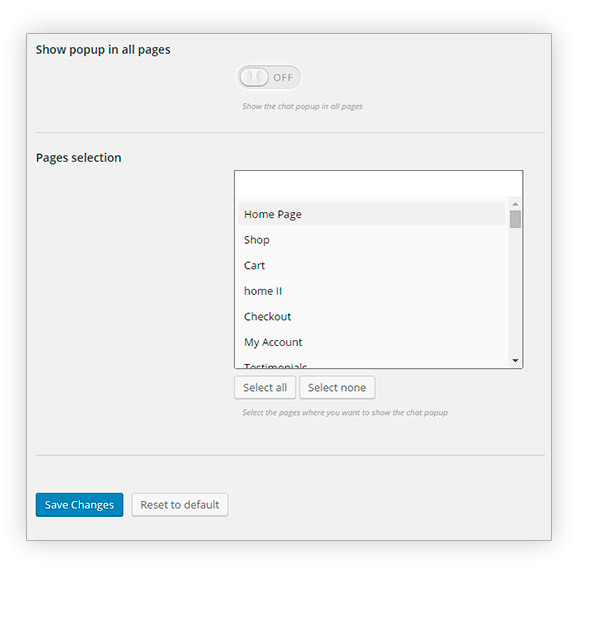 Unfortunately that will not be possible, operators can only chat inside WordPress. This is probably due to the fact that you are not using the premium versions of these plugins. These plugins are only integrated (only work well together) if you use the premium version of all of them. If you want to you can try them out together in the free live demo here, click on "launch admin demo" to enter the backend, once in the backend you can activate the Live Chat and Frontend Manager plugins.